feature series When you’ve been working in the IT industry for a while, you begin to be able to see what analyst firm Gartner has termed the sector’s hype cycle happening in real-time. A term will be coined, typically by a vendor at an industry confab – an Oracle OpenWorld, a Cisco Networkers, even a Microsoft Tech.Ed. After a while, other vendors will begin to pick it up. Soon the analyst firms and journalists catch wind, and it starts to appear in article after article. You know the phrases we’re talking about here. Grid computing. Green IT. Software as a service. Unified Communications. And the list goes on. For an IT executive, being able to differentiate between the phrases that will go on to define the industry is key. Not only will they drive their own company’s technology strategy, they may come to define their personal career and even change the way that everyone around them works on a daily basis. Back the right horse, and you will go far. Back the wrong horse, however – and grid computing, we’re thinking of you, here – and you could end up as a failed prophet and forced to start all over again. Around about two years ago, a new term started to enter the Australian IT lexicon on a daily basis: Cloud computing. Perpetuated by vendors like Salesforce.com and Amazon, it stuck around like a bad smell for a while, before it gradually began to be picked up by the likes of Microsoft, VMWare and others. Over the past six months, however, as the promise of cloud has failed to take the industry by storm, the phrase itself morphed. Chief information officers, IT managers, vendors and analysts suddenly started talking about “private cloud computing” instead. So everyone’s talking about it – but what does it mean – especially in the Australian context? Who is providing private cloud services in Australia – and who is adopting them? What is the future of these services likely to look like? Several months ago, we started researching the private cloud in an attempt to answer all of these questions. We’ve spoken to most of the major players in the industry about private cloud, as well as a range of customers and analysts. Over the next two months, we’ll be publishing four major features on the topic, as well as minor articles and a repository of white papers and industry reference material, in an attempt to get to the bottom of private cloud in Australia. This is the first article in that series — stay tuned for more! When you ask Australian technologists what “private cloud computing” means, you’re likely to get a variety of different answers. Most of the several dozen vendors who we talked to when researching this series tended to view the term through the lens of their own particular solutions. A virtualisation vendor will discuss private cloud in terms of virtualisation, while a storage vendor will discuss it in terms of storage, and so on. Even database vendors primarily interpreted a question on private cloud as being a question on the extensibility of their software. For a more complete answer to the question of what private cloud means in the Australian context, you need to go to more technology-agnostic IT services providers, as well as analyst firms who dig into the matter in a professional manner. And of course, the customers themselves. According to CSC chief technology and innovation officer for Australia and Asia, Bob Hayward, a useful place to start when you’re trying to define private cloud computing in the Australian context is to acknowledge that it exists. “I think we should start with agreeing that there is such a thing as the private cloud,” he says, noting that there is still a debate about the issue in the industry. And the key to understanding why the term and the sorts of services that it refers to exists starts with the factors that spurred its adoption in the first place. Most technology sector workers by now have an OK idea of what your average cloud computing service looks like. Fundamentally, the public cloud refers to a service where you buy CPU, storage and network power on demand from a larger shared infrastructure pool, using a pay for what you use model and being able to scale usage up and down. However, Hayward says it’s important to realise that Australia has some unique challenges when it comes to cloud computing. For starters, most of the large public cloud computing companies – Amazon, Microsoft, Salesforce.com, Google and so on – do not host any of their datacentres in Australia. Couple this with the fact that many large Australian organisations in the financial services and public sectors have not only regulatory requirements but also a strong desire to host their data in the Australian legal jurisdiction, and you start to see that the normal types of cloud computing services don’t make sense for many large organisations in Australia. It’s a factor that Qantas’ Chris Seller highlights as well when asked about the issue. The executive is the airline’s chief IT architect and head of operations for its Corporate Services and Technology arm. However, there is still demand for cloud computing services in general from Australian customers. CSC’s Hayward says Australian organisations are still looking for many of the same benefits that true cloud computing providers can offer – the ability to transfer capital expenditure on buying computing infrastructure into operational infrastructure for renting it, for example. Or the ability to quickly ratchet up the amount of resources certain applications need for high-demand periods – without needing to purchase additional hardware to do so. The combination of these two factors has stimulated solutions providers in Australia (including traditional IT companies as well as telcos like Telstra and Optus) to start offering services that offer many of the benefits of public cloud computing services – but specifically to a much smaller audience, and as a first step towards eventual large-scale public cloud deployments in the long term. A number of industry players we spoke to disagreed with this notion – saying that any form of cloud computing by definition needed to be multi-tenanted – where multiple customers were using the same infrastructure stack. However, CSC’s Hayward points out that many who say this means there is no such thing as private cloud don’t realise how big some of Australia’s top companies and governments’ computing needs are. “Some of their private clouds can be bigger than public clouds,” he says – and they can act the same way. For instance, Hayward gives the example of a government private cloud, which could be used by multiple agencies. Or a bank’s private cloud, which could be used by multiple internal divisions. “Some of their private clouds can be bigger than public clouds,” he says. And indeed, a spokesperson for the Federal Government’s peak IT decision-making body, the Australian Government Information Management Office, says the group is currently in the latter stages of developing its cloud computing policy. The Commonwealth Bank of Australia – which with an annual IT spend of more than $1 billion is one of Australia’s largest IT buyers – is also pushing hard towards cloud computing. And with regulators like the Australian Prudential Regulatory Authority believed to be concerned about financial data being hosted offshore, that could likely mean private cloud services, especially until larger public cloud providers bring solutions on-shore. Qantas’ Seller says until there is a greater local presence from some of the major public cloud service providers, many Australian organisations will look towards private cloud solutions in partnership with local IT service providers as “a first step into the cloud”. The leader of the CSIRO’s Computational and Simulation Science branch, John Taylor, also emphasises this definition of the private cloud when asked about the matter. He defines private cloud as “Computing infrastructure owned by CSIRO”, but notes it may be managed in “a more dynamic and flexible manner as in external clouds”. And he notes the large public cloud providers haven’t done enough yet to build local infrastructure. In this context, Gartner even has more discrete definitions of certain types of private cloud. Prentice says a “managed private cloud” is a private cloud where an end user doesn’t have to deal with all of the infrastructure or the software itself in its own datacentres, but gets an IT services provider to do that. A “virtual private cloud” is something different again — for example, Amazon might provide a dedicated slide of its Web Services infrastructure devoted to a specific customer. “The idea here is that it’s a public cloud system, but the delimitation of the membership is between organisations,” says Prentice. When you put the above factors together, you have what can broadly be described as the ‘top-down’ approach to defining private cloud computing in the Australian context. In short, Australian organisations want many of the benefits that the public cloud offers – without the potential security risks and especially with a bit more control over where data is hosted. But there’s another way that Australian technologists are defining private cloud computing – from the bottom up. A number of the companies we spoke to for this feature series pointed out that the concept of private cloud was in many ways just an evolution of the sorts of virtualised environments that many Australian organisations have already been using in their datacentres. This more ‘organic’ definition of private cloud services is one that hardware and software vendors tend to favour. Quite a few vendors refer to it as “infrastructure as a service” or “IT as a service”. HP executive Paul Schroeter, who works in strategic marketing for the company’s Software & Solutions division for its Asia-Pacific and Japan area, says one of the critical parts of that evolution is the realisation that in the past, when an IT department provided infrastructure to its organisation, it was usually building the services to order – for example, provisioning servers. The difference now is that many of these services can be configured to order instead of physically built, he says. Organisations can have their infrastructure in place, with resources being provisioned for each specific task rather than actually being built. These are the kinds of ‘self-service’ aspects that the IT services giants are starting to emphasise in how they talk about cloud computing. CSC’s Hayward says users should have access to a some form of service catalogue portal – an a’la carte menu, if you like, from which services can be provisioned. Without this kind of automation, a cloud is not a cloud – it’s just a datacentre. And all players agree even private cloud services need to be easily ‘extensible’ — so that compute power can be ratcheted up and down quickly. But, to a certain extent, the hype around cloud is justified, agrees InTACT’s Paul Ayers. “Certainly the promise is there — we will realise some of the hype,” he says — although “it is not going to save the world’s problems”. Next: On October 26, we’ll be publishing our next article in this feature series, examining what companies are providing private cloud services in Australia, and what the difference between them is. We will also be publishing opinion pieces and analysis on the subject of cloud in between now and then. Image credit: Fred Fokkelman, royalty free. Additional research for this series performed by Jenna Pitcher. Nice in depth article Renai. I think that once vendors start selling jargon to customers about what makes up “their cloud” and trying to define what goes in a cloud and what doesn’t, then they’ve missed the point of the cloud. A farmer doesn’t particularly care how a cloud forms, they just want rain. The one thing I couldn’t believe from our investigation of this area over the past few months has been just how much enthusiasm there is for the concept — from all sides. Not only from the vendor side (which you would expect), but also from end users and analysts. There really is such an energy in the Australian market right now for cloud, and I really expect it to translate into some pretty amazing outcomes and projects pretty soon. I’m particularly interested to see what AGIMO comes out with as part of its cloud computing strategy, as they would have to consider private cloud for it — given the scale of the Federal Government. But the concept is also highly applicable in the other state govts, for example, particularly as shared services becomes more important. I like to make an announcement on my new cloud based service. It will colate all the jargon, buzzwords and mindless terminology and store it in the cloud (using a cloud based storgae system from Amazon S3). I call it Buzzword Uniform Layer Locator System Hosting Information Tech. Seriously, I dont mind the cloud services, but its not new. Remember Net-PC’s? Mainframes? I use services like iiNet’s cloud backup and have used Jungle Disk. The main problem is unless your device is unmetered, you are paying twice: once for the service and once for the bandwidth. And since backups can be measured in GB, this is not a trivial thing. The metered net prevents me to sync my music selection onto my phone using mSpot on my android phone, as it will take a huge slab of my download cap. It also makes the far inferior iinet backup service more attractive than products like carbonite and jungle disk, as there the bits are non billable. For consumers, for the cloud to tak off, the basic way ISP’s monitise the net needs to change…. Hmm to be honest, I think this type of cloud services is new. It’s not the same thing as traditional infrastructure — in fact, cloud in many ways isn’t infrastructure at all — it is defined as an abstraction of infrastructure. It is making infrastructure incredibly less important than it has been. Exactly, the point of the cloud is not knowing or caring what’s inside. SLAs, contracts and penalties are going to be more critical than ever in the new “cloud environment” imho. I dunno — from my conversations with chief information officers, they appear to be less concerned about the SLA side of things when things are in the cloud. This is generally because at the moment it’s mainly non-critical services that are migrating into the cloud — things that if they go down, it’s not a huge issue. So at the moment testing is a big one, and internal collaboration. If a testing environment goes down, all it delays is the project work. It doesn’t affect customers. Even email — email going down for a few minutes normally doesn’t cripple an organisation, as long as the phone are still working etc. Even at our level (home and small business customers) the location of the data centre is an issue. Doctors for instance insist on having their data local and so do many legal firms. The challenge for local is scale to drive costs down so that it becomes accessible to the small business. As you mention however (posts), if they are using the cloud for non critical services at the moment then its probably not an issue, but as they look to expand this, then legal gets invovled in reviewing contracts and its gets messy. Yup, I definitely agree with you about the doctors and legal firms — those are some of the most highly regulated businesses in the market and they are very sensitive about their data. I think this will become less of an issue as time goes on, however. The usability of services such as Gmail are so high that I think people in some industries are increasingly overlooking the offshore issue. It’s all a matter of being in your comfort zone. I’ve been itching to comment here for some time. To me, cloud computing is about IT shifting to a utility model. In the future, most but not all IT resources will be sourced from third parties and will be paid for on a consumption basis. Amazon is the closest to this model today. Most organisations will no longer make significant capital outlays on IT and will not need to worry about managing their IT resources with expensive staff. IT will mature and we will move away from a 20th century on-premise model of computing. In my view, the term ‘private cloud’ is an oxymoron. I wrote a piece on this last year (http://tinyurl.com/26ows4a). The term is nonsense. The term entered our vocabulary through the aggressive marketing efforts of legacy IT suppliers for whom cloud computing is a threat. A shift to a utility model of computing massively undermines the business models of some of the largest IT companies. In response to this threat, many of them have started describing their existing datacentre-related services as private clouds, in the hope of convincing customers that they can offer real enterprise-grade cloud services and that the newbies such as Salesforce.com offer insecure, shoddy and unreliable services. They hope to continue to gouge vast amounts of capital expenditure from customers in return for inflexible and complex IT environments on which cash is poured simply to ensure that the investment continues to function. Now if the cloud is private, it immediately implies that it doesn’t offer one of the key tenets of cloud computing which is multitenancy. It is through providing services to multiple customers that cloud providers can offer economies of scale. 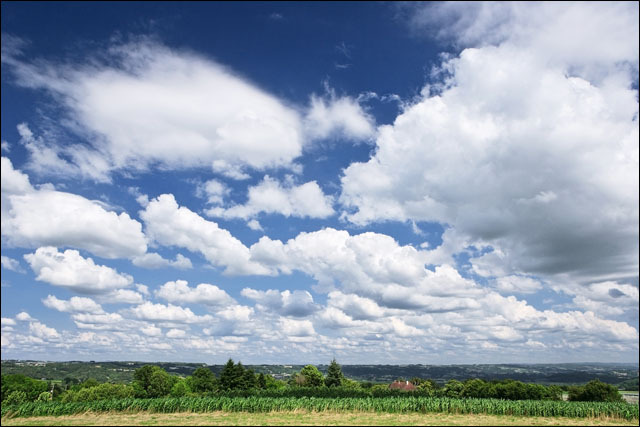 Some private clouds imply that capital investments need to be made which breaches another key tenet of cloud computing and few, if any can offer the scalability (another key tenet) that is offered by real cloud computing. I don’t know what a private cloud is. It sounds like the computing ‘living dead’ to me. I suspect that it is a virtualised shared service centre. Any clear ideas?